As a big fan of Sublime Text 2, I was excited to find out that somebody made a port of the Monokai theme for macOS and OSX's Terminal. Originally developed by Wimer Hazenberg, Monokai is a great color scheme available for a variety of text-based applications. 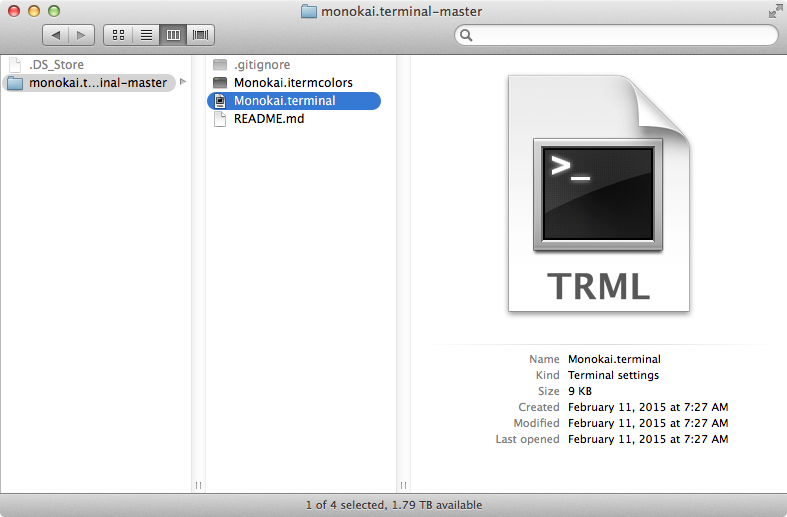 This short guide will show you how to get Monokai into Terminal. 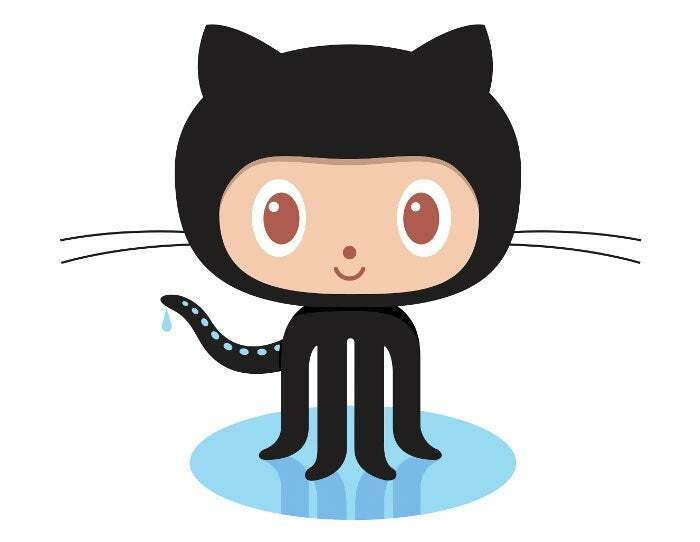 Download Stephen Way's monokai.terminal port from the project's Github page. Unzip the file. Double-click Monokai.terminal to open it. 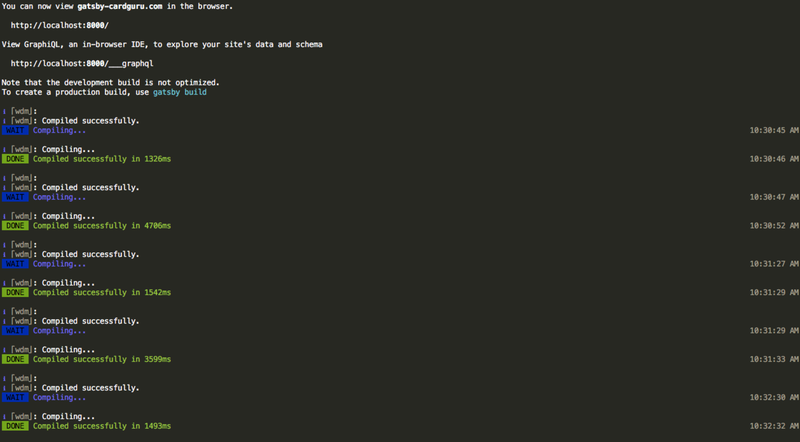 This will automatically install the color scheme into Terminal. 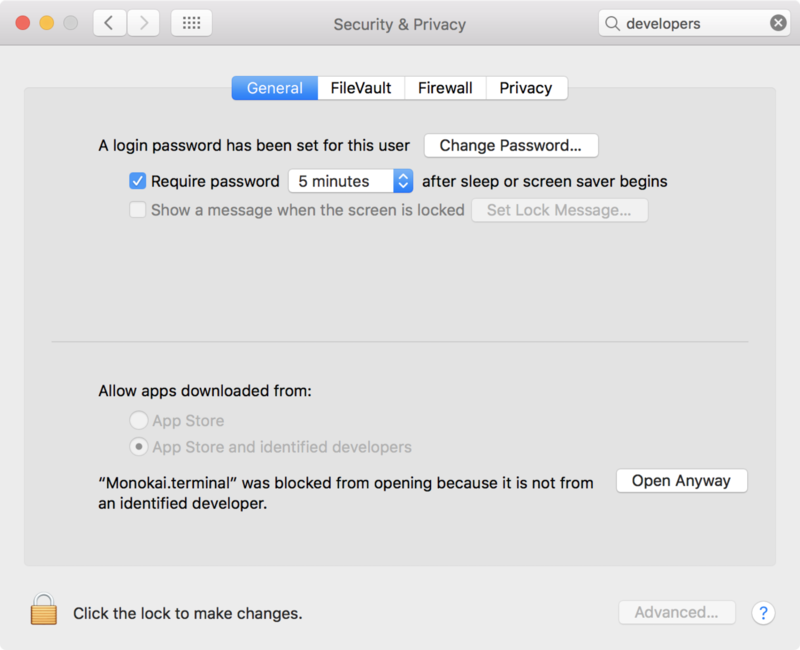 If you see this message, navigate to System Preferences > Security & Privacy > General and ensure that the App store and identified developers option is checked. With Terminal open, navigate to Terminal > Preferences. 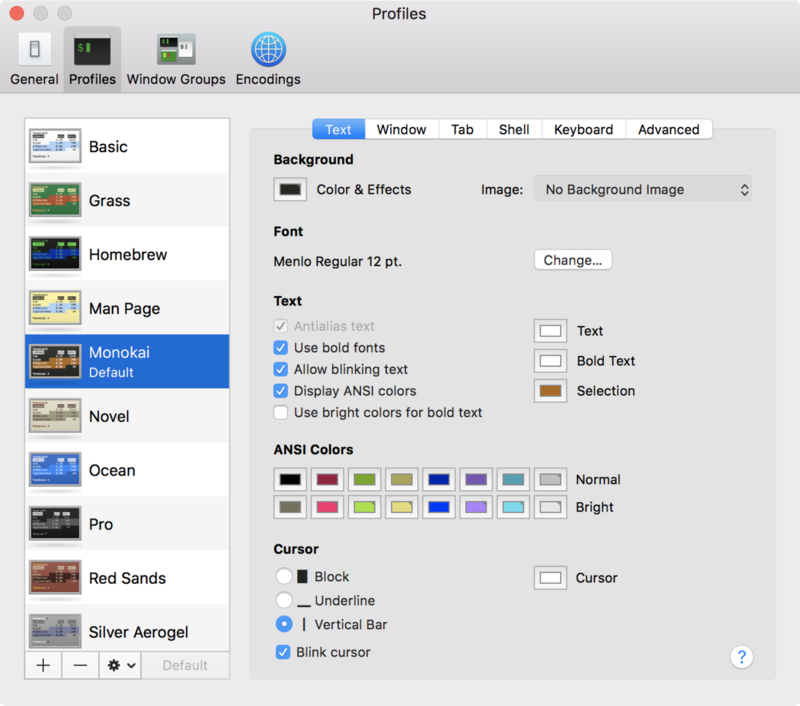 Select the Profiles tab (MacOS) or Settings tab (OS X) and then click Monokai in the side pane. Finally, click the Default button. I listen when I want to listen. This was surprisingly difficult to find.